The Sunrisers Hyderabad will take on the Chennai Super Kings at home for match 33 of IPL 2019 on April 17th. SRH are in desperate need of a win as they find themselves in the bottom half of the IPL points table with just 3 wins from 7 games. CSK, meanwhile are cruising at the top of the table; a win in this game will almost assure them of a playoffs spot. SRH have Kane Williamson back to full fitness and it's about time that the Kiwi gets back to business, marshaling his troops around the way he did last year. David Warner and Jonny Bairstow won't stick around for too long as they might have to leave for the World Cup preparations, so the next few games are even more important than usual for SRH. As for CSK, not many changes are expected knowing MS Dhoni and his methods. However, the form of their openers, especially Shane Watson, might necessitate some minor tweaks from the management. This will be a clash between two of the most powerful and balanced sides this season, and promises to make for wonderful viewing. It's expected to be an evenly-matched contest with a score of 170-180 expected from the side batting first. This is also a game seemingly tailor-made made for IPL Fantasy players, with a lot of options available to pick. On that note, let's take a look at who the Fantasy X-Factor will be for this match. SRH have seen a lot of changes in their last couple of matches. And with their middle order failing, skipper Kane Williamson, would be the Fantasy X-Factor for this match. Williamson will be keen to step up and make amends for the side's batting struggles in the first half of the season. 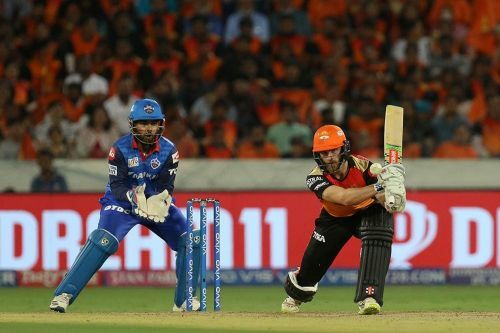 SRH's openers have played so well that the middle order has got limited exposure and very little work to do, but they have been crushed whenever they have been put under pressure. Even in the last game, the middle order batsmen were given a splendid start by the openers but were caught unaware by the Delhi bowlers. CSK have been brilliant at taking wickets during the powerplay overs, which this means that Williamson will likely have to walk in early. He is someone who relishes a battle and thrives under pressure, and a tough game like this could bring out the best from him. Williamson isn't a very popular fantasy player either, and that makes him a strong differential pick. David Warner, Rashid Khan, Imran Tahir and Suresh Raina will also be good fantasy options. IPL Fantasy 2019: Match 41, CSK vs SRH - Who will be the X-factor in today’s game?